MFF2010 closing event is happening in Brussels (at iMAL and in public space) during the weekend of the Nuit Blanche, October 1-3. On this occasion, curators and artists will gather in Brussels for a final public panel to share the results of the project and discuss with you the issues and future of urban screens and media facades, and how they can be a new communication format for interconnecting cities beyond borders. Urban Screens are a cooperation model of screensholders, new technology and software developers, urban planners, city marketing, agencies, media designers and public authorities. 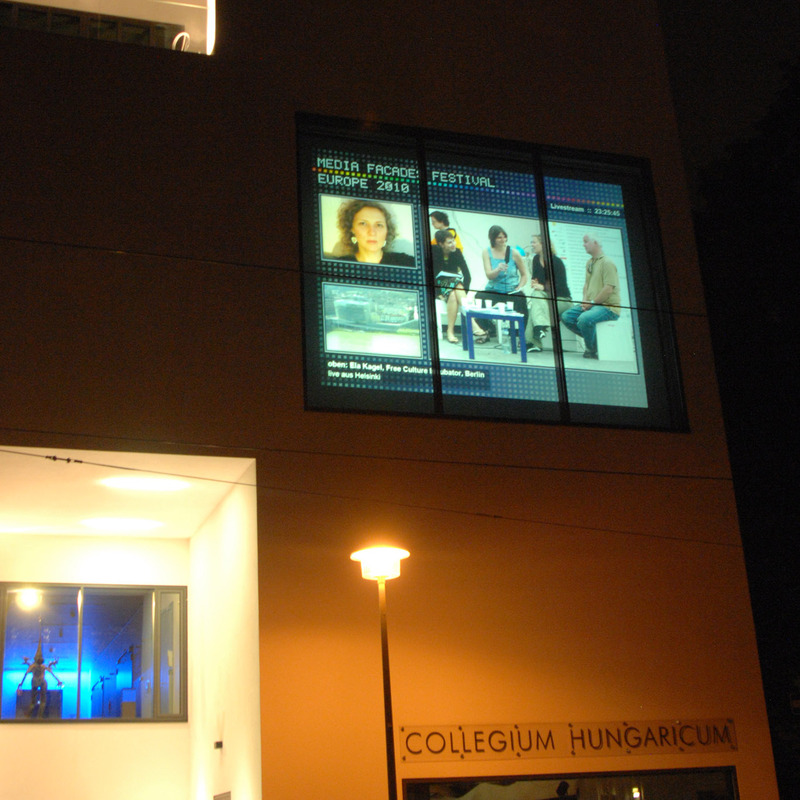 What are the regulations and public policies for urban screens and media facades? 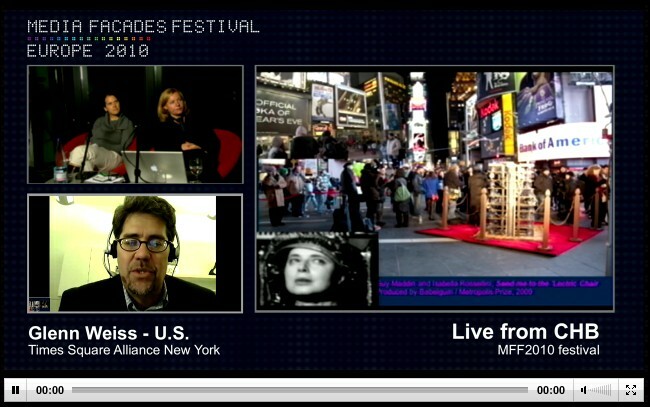 What are technological future models for urban screens to create interaction with the public audience? What are guidelines of recommendation of how to curate urban screens and media facades? Tuesday 7th and Wednesday 8th September 2010 at 8.30 pm we will present worldwide initiatives that successfully present social and cultural content on digital large urban screen displays. We will invite them to join our virtual panel to talk to us via skype about their experiences of curating Urban Screens and the financial models making their Urban Screen sites a successful place for broadcasting cultural content. After the conference we will show a selection of videos contributed by the initatives. This video programme will be screened on Monday and Thursday as well starting at 9pm. Location: CHB window and online public TV. The Ars Electronica Futurelab and Public Art Lab have invited Pioneers that are involved in using architectural surfaces as a sustainable infrastructure for the communication with the modern active citizen. 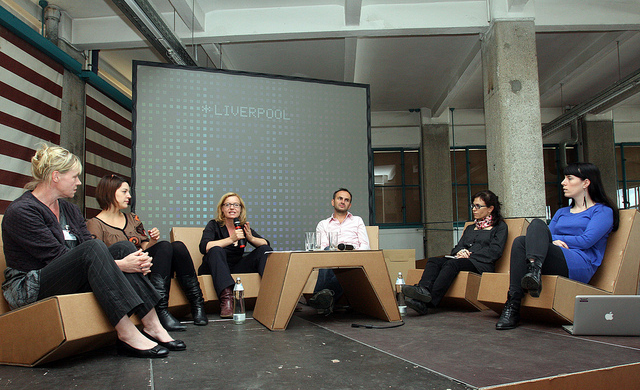 The focus is on new models of cooperation between socio-political, cultural, architectural aesthetic and comercial interestes realising the new connection between the virtual and real public space. With kind support of AG4.